FABULOUS LOCATION!. 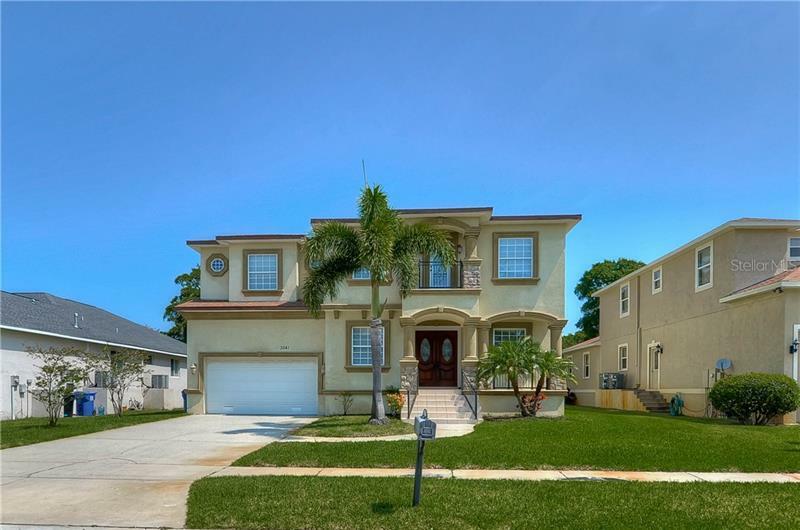 Close to Downtown Dunedin which is one of the most sought after areas in Pinellas County This home is very nicely UPDATED and has 18" tile throughout most of the home. It is a 2 bedroom 2 bath home with vaulted ceilings which a add a very spacious feel.The kitchen is open to the living room creating a nice flow of living space. You will enjoy the sizeable and truly well designed kitchen. It is updated with large granite countertops, stainless steel appliances, gas stove and tile backsplash. The master bedroom has a walk in closet and quality laminate flooring. The jack and jill bathroom bathroom is fully remodeled and shared with the guest bedroom. There is a wonderful screened in patio at the rear of the home. Extra space for relaxation and entertaining! A huge plus is that the AC is only 3 years old. Out back is a big storage shed at the end of a huge carport. There are no neighbors directly across from the home as Michigan Dr is a lane. Not enough can be said regarding the location in general and the proximity to main street in particular. Dunedin is always busy with great activities, festivals, art shows and fun events. It is a short drive to world famous Clearwater beach or Honeymoon Island park and beach. If you are not familiar with this area, do a web search to learn all about it and it's history.